(Weekly Story Theme: Deep Sea) It is difficult to always see the source of an artist’s inspiration, and with Alex Forster is no different, except that we know the source, its just hard to find. In the depths of the ocean lurks a creature mutable in both shape and color, a fantastic octopus that can transforms and mimic its surroundings. It is from this deep creature that Alex Forster must find inspiration for his changing, plastic images. Awesome!!! 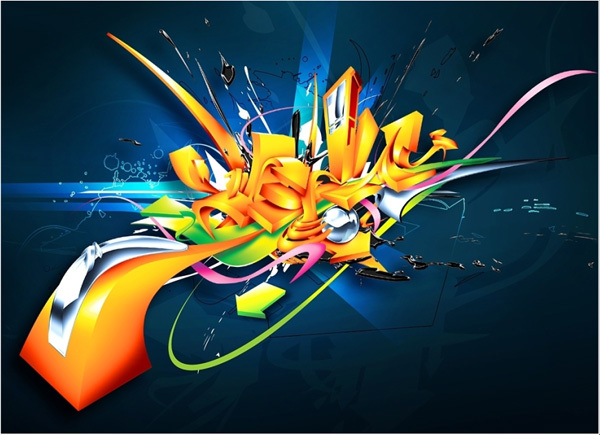 Love the wildstyle nature of his work. It expresses freedom to go wherever because it’s there!! !